Feeling artsy? Looking to get crafty? 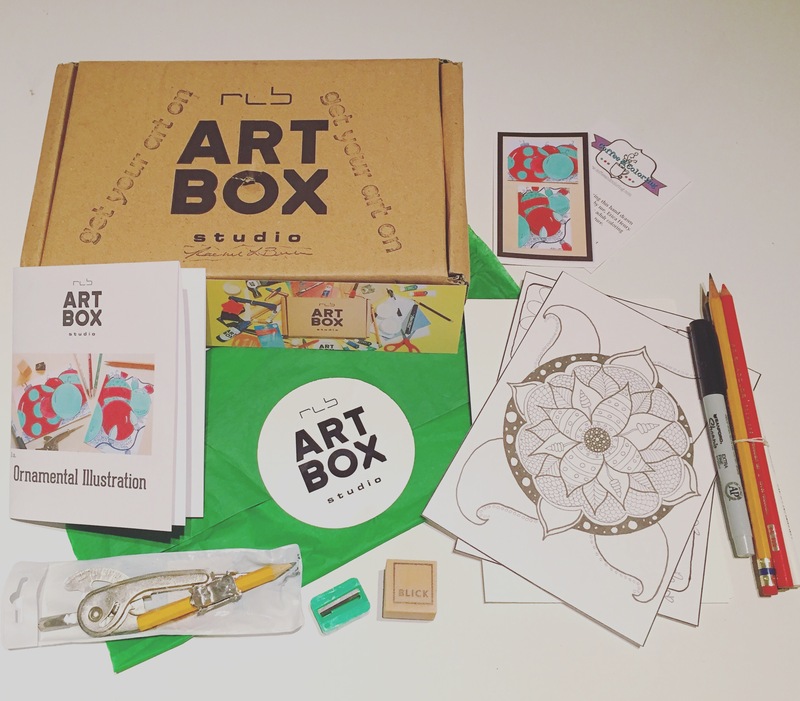 Take your art experience to a new level with RLB ArtBox subscription! Sending you fun little art project kits with all the supplies needed to create your masterpiece including easy to follow directions. What to expect? A little drawing project? Painting? One of my New Years resolutions was to get in touch with my creative side. I used to draw and paint and have really set it aside the past year so would love to get back into it. Last month we got some very festive ornamental ideas fully equipped with pencils, sharper, eraser (yes the proper kind I was all out! ), a sharpie, pencil crayons, and a protractor for drawing the circles! Best part is now you have these tools to keep for your own other side projects! Love how it included a ‘Coffee and Colouring’ item to, loving the adult colouring! So relaxing! You can also purchase past project art kits if you missed out. Loving the wire tree, the string heart. Maybe a grab a bunch and have a Pinterest party! I actually had a painting party last year and loved the little pieces made!